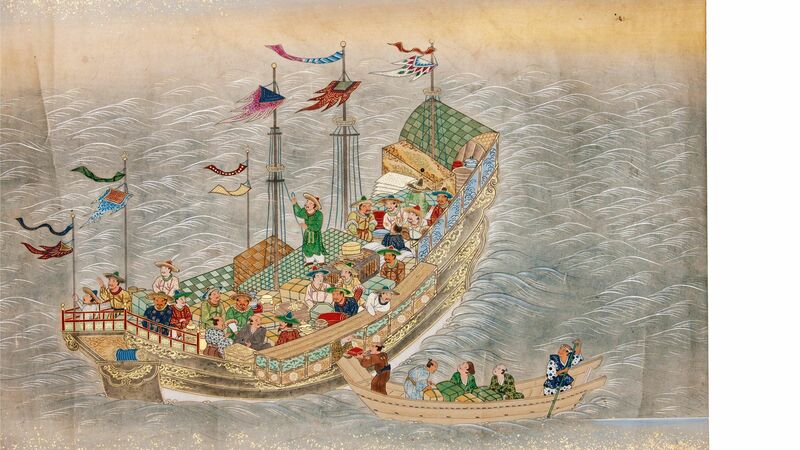 Treasure Ships: Art in the age of spices is the first exhibition in Australia to present the complex artistic and cultural interactions between Europe and Asia from the sixteenth to the nineteenth centuries - a period known as the 'Age of Spices'. This exhibition includes 300 outstanding and rarely-seen works of ceramics, decorative arts, furniture, metalware, paintings, prints and textiles from public and private collections in Australia, India, Portugal, Singapore and the United States. The works of art selected reveal how the international trade in spices and other exotic commodities inspired dialogue between Asian and European artists, a centuries old conversation whose heritage is the aesthetic globalism we know today. A highlight of the exhibition is the diverse range of Christian artwork created at ports such as Goa and Nagasaki on loan from Portugal and India as well as the inclusion of two works from the personal collection of Queen Adelaide (1792-1849) after whom the city of Adelaide is named. Another highlight is the artefacts retrieved from the Batavia, which sank off the Western Australian coast in the seventeenth century. This exhibition is presented in collaboration with the Art Gallery of Western Australia.